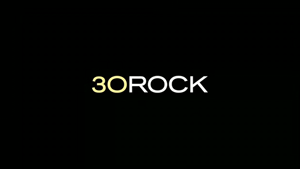 Quick Thoughts: 30 ROCK, "Dance Like Nobody's Watching"
30 Rock finally made its return, and I was expecting for it to come back firing on all cylinders, but unfortunately I felt that the premiere episode was mediocre at best. Let's start off with what I thought worked. I'm a fan of 30 Rock when it's satirizing the entertainment industry, so I liked the swipe at reality singing competitions, but I was also kind of surprised that I dug it since I'm not a fan of Jenna. She just wasn't as irritating as she's been in the past which was a relief. I also appreciated the fact that it allowed us to see Jack grow as a character because of his new role as father. Jack also played a major role in Liz's story as she had a change in attitude and demeanor which made Tracy wonder what was going on with her. I loved the fact that they called back to Liz's jazz dancing roots, and I got the vibe that this season's really going to develop the bond between her and Jack, so I'm interested to see how he reacts to her secret boyfriend. I don't think that these two should be paired up romantically, but their friendship is what makes this show work, so that being questioned could be great to watch. Much like Jenna, I can only take Kenneth in small doses, so I was not a fan of his Rapture C-plot. Usually, I'm not offended by jokes that are aimed at religion, and I wouldn't say that Kenneth's story upset me, but it did feel lazy because it's so easy to take shots at fundamentalist Christians. That being said, the sight gag of Frank dressed up as Santa with a machine gun and Toofer as Jesus was pretty funny. I jumped on the 30 Rock bandwagon later than others, but Season 5 was strong, so I was expecting a lot from the Season 6 premiere. I was a little disappointed that it didn't start off as strongly as I would've liked, but it's cultivated enough good will with me that I'll be sticking around for the foreseeable future.